The series will feature the voice talents of Abbi Jacobson (“Bean”), Eric Andre (“Luci”), and Nat Faxon (“Elfo”) along with John DiMaggio, Billy West, Maurice LaMarche, Tress MacNeille, David Herman, Matt Berry, Jeny Batten, Rich Fulcher, Noel Fielding, and Lucy Montgomery. Misadventure awaits! 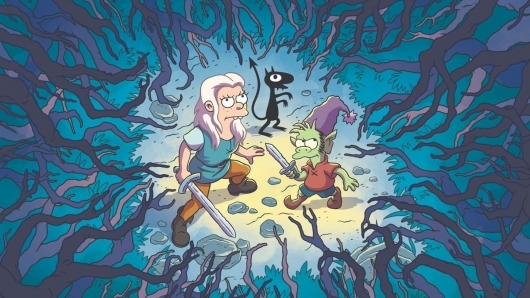 Disenchantment, the new series from The Simpsons creator Matt Groening, premieres August 17.